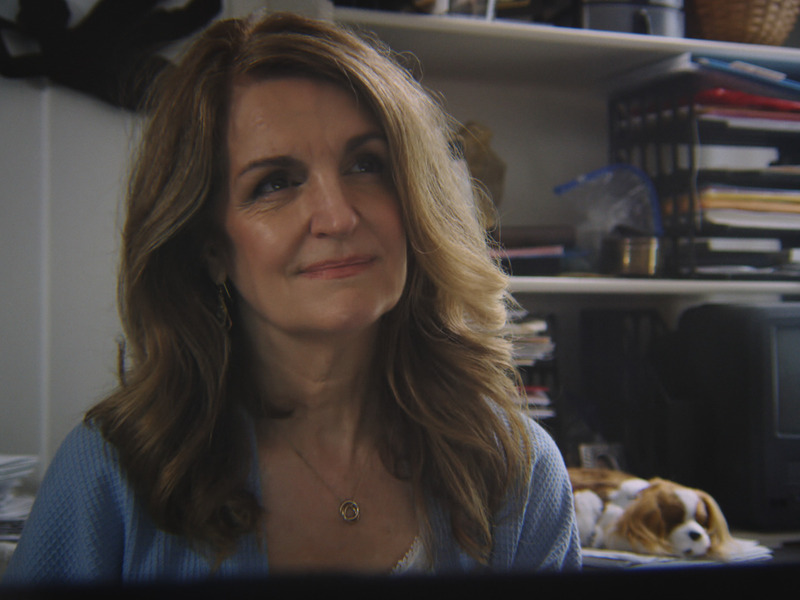 Annette Kellerman Is Delighted, Not Spooked, By CLARA'S GHOST And This Exclusive Clip! It’s always fun to see family members team up on a film project. Whether it’s John Huston directing Angelica in PRIZZI’S HONOR, the Affleck brothers and their various collaborations, or Angelina Jolie and her daughter Vivienne appearing together in MALEFICENT, there is definitely something special about kin teaming up onscreen. 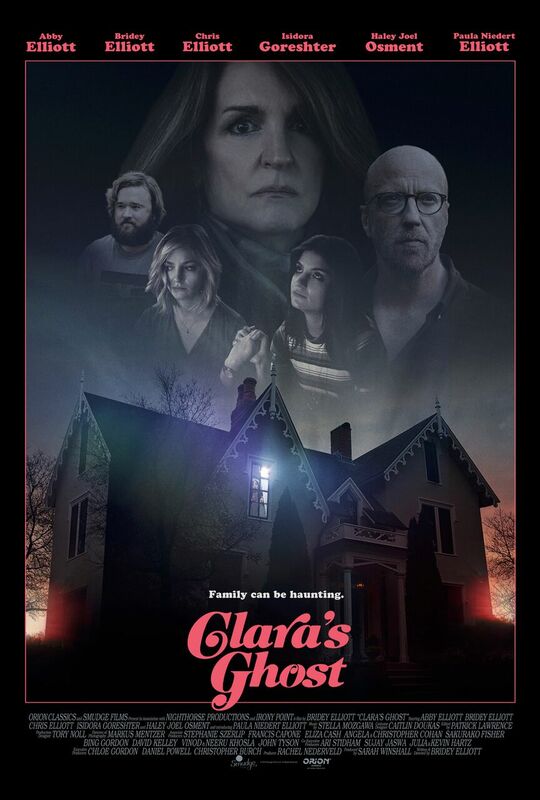 Independent films are no exception, and in the new movie CLARA’S GHOST comedic actor Chris Elliott and his clan join forces in the charming dramedy. 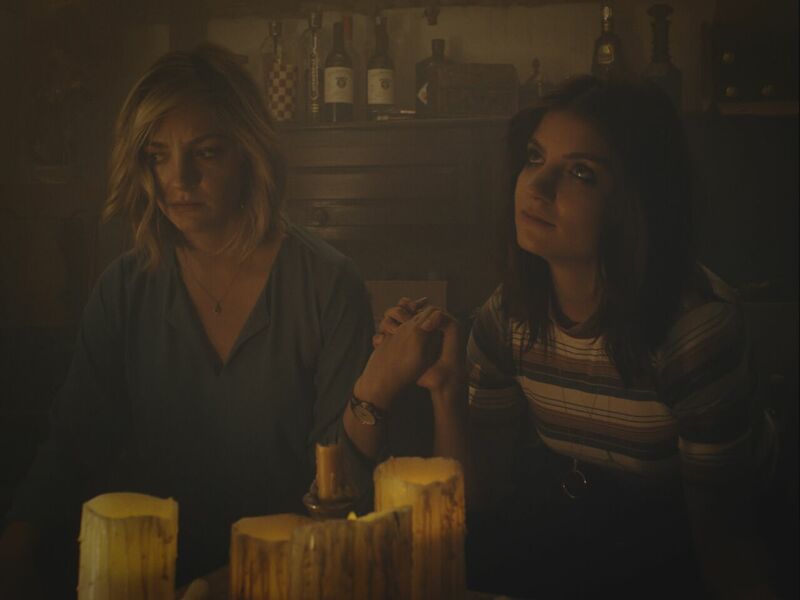 Written and directed by Bridey Elliott, the filmmaker has enlisted the help of her sister Abby, her dad, as well as her mom Paula in her feature directorial debut. The story revolves around the Reynolds, a showbiz family who gather for a weekend at their rural Connecticut home. The patriarch, Ted, is a working actor who despite a successful career has found himself recently unemployed. His daughters Julie and Riley are former childhood sensations a la the Olsen twins and have transitioned into working actresses themselves in New York. Holding the family together is their mother Clara, the only Reynolds who isn’t in the business. When the girls come home for the weekend to celebrate their beloved dog’s birthday, Clara’s patience and even sanity are tested as she approaches her wit’s end with her narcissistic brood. Though CLARA’S GHOST is mostly meandering, the likability of the group’s dynamic is undeniable and keeps the film from floundering. The film is billed as a comedy, however the booze-fueled interactions and ominous sequences give an overall uneasy air. While there is clever, irreverent dialogue between the characters that is certainly chuckle-worthy, there are no outright laughs in the film. This mix of serious and lightheartedness is appropriate considering that Clara seems to be dealing with either a mental break or an actual supernatural phenomenon. Abby and Bridey Elliott are delightful as they bounce one liners off of their parents and each other. Though neither of their performances stretch much further than pleasantly quippy, they each possess a unique charisma that makes them irresistible to watch. 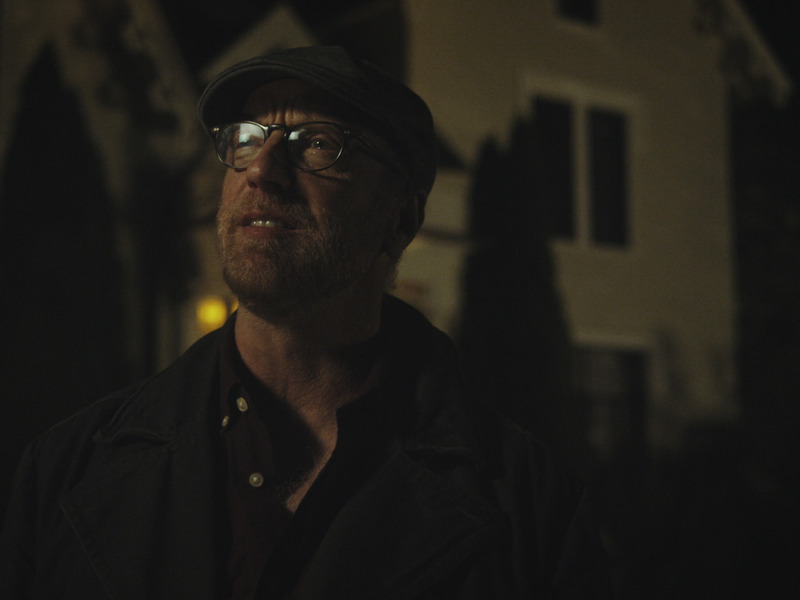 Chris Elliott is as terrific as always in the role of the comfortably arrogant, sometimes inappropriate, and often mildly buzzed dad. Though there is one obligatory point of contention between he and his girls, his character mostly keeps things light and flippant throughout the film. Amid all of the family’s talent, however, it’s Paula Niedert Elliott as the troubled Clara that really gets to show depth and versatility. As the ex-coke head who is constantly teased and/or diminished by her clueless loved ones, her subdued and effective performance as the possibly unhinged matriarch is the real stand out of the film. 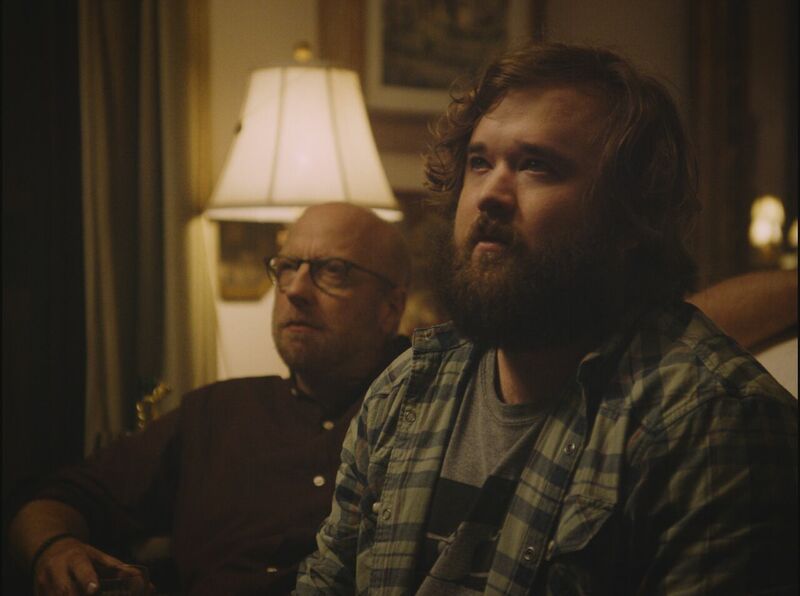 As one of the only outsiders in the story, Haley Joel Osment shows up as an old friend/weed dealer that ends up spending the evening with the slightly loopy crew. His character seems a bit extraneous, yet the charming Osment provides a nice touch of clarity and contrast to the varying family dynamics. Though not earth-shattering, CLARA’S GHOST is thoroughly enjoyable and solid. If I had a family with so much talent, I’d want to showcase them in my own feature too. I like how Bridey Elliott keeps the premise simple and lets the characters develop through the easy going dialogue. It’s also interesting how the tone vacillates between humorous and threatening without ever deciding exactly which it wants to be. While in some films this may be annoying, Elliott makes it work in CLARA'S GHOST. With the family theme in the forefront, it is impossible not to wonder if art might be imitating life with many of the show business references throughout the film. 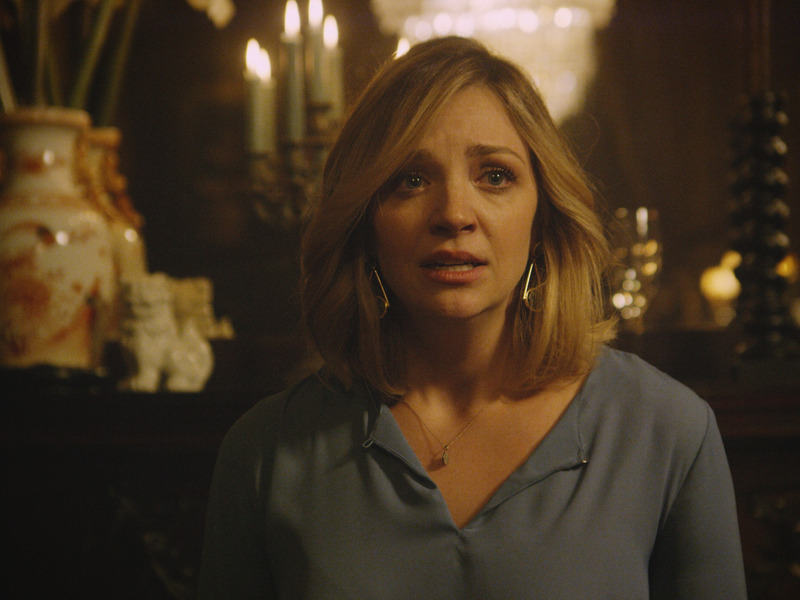 Either way, CLARA’S GHOST is an amusing look at a fascinating family (no relation to this writer, btw) that I’d like to spend even more time with. 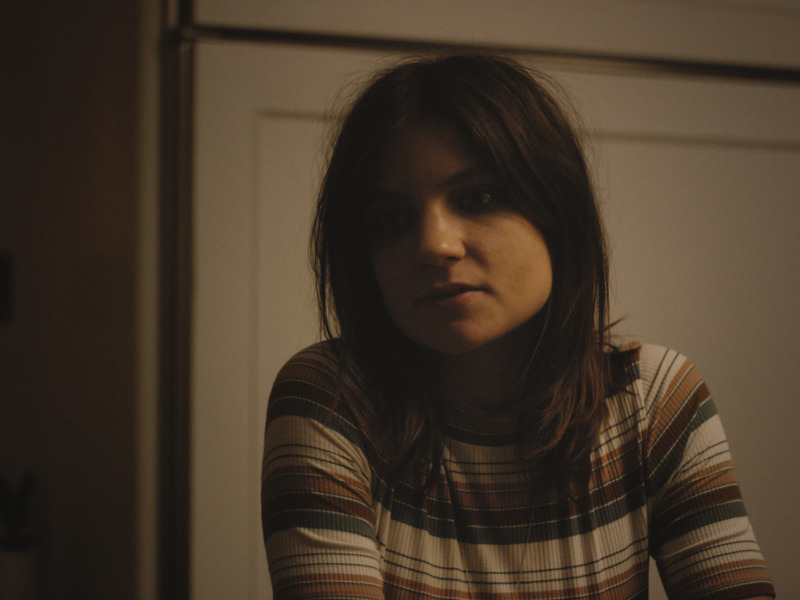 CLARA’S GHOST opens in theaters on 12/6 and VOD and Digital HD on 12/7. In the meantime, check out this exclusive cip from the film!